As I am house shopping as of late, I have become a bit obsessed with bathrooms. People do weird things in their bathrooms. Like carpet, I’ve seen like 4 carpeted bathrooms. I gag when I walk into them. Why would you do this? What is the reasoning there? I’ve come to realize that I am going to need to figure at least one bathroom remodel into my house budget. And all I can think about are encaustic tiles. How pretty are these (above spotted at Royal Roulotte)? And please don’t even get me started on how much I love those hexi mirrors. 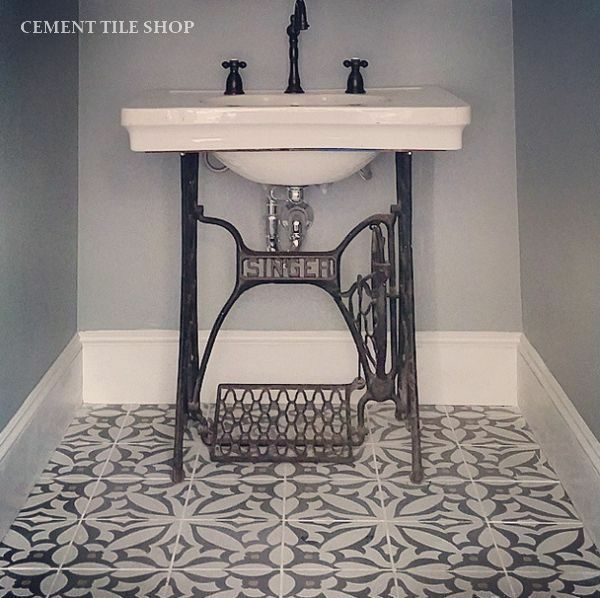 Encaustic tiles are ceramic tiles where the pattern is made from various colors of clay (rather than a glaze). 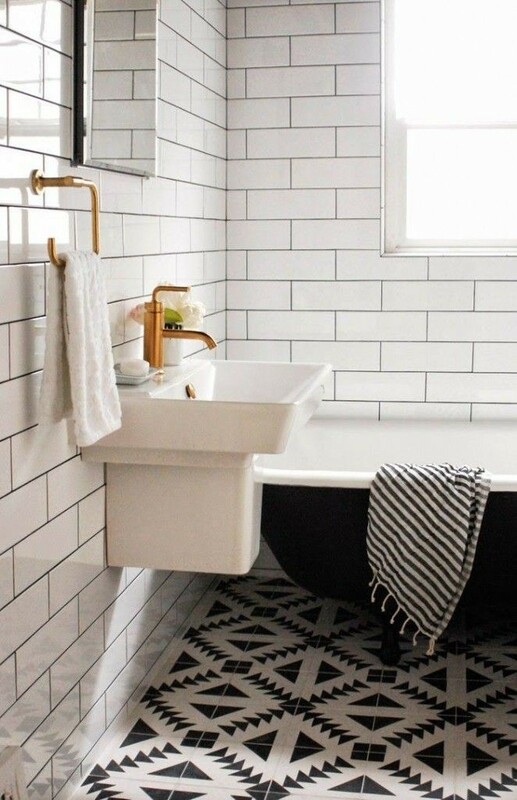 They can include up to six colors, but I am really digging the black and white, like this Tulum pattern from Cement Tile Shop. There are so many styles, but I am drawn to Moroccan patterns or modern patterns. 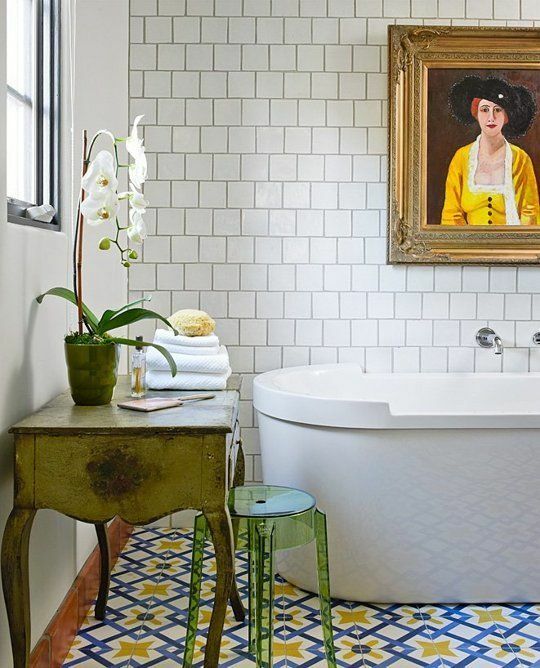 I am obsessed with this bright tile that draws color from a portrait above the bathtub spotted at D Magazine. So fun. Right now, I am loving the entire Ikat collection from Villa Lagoon Tile. 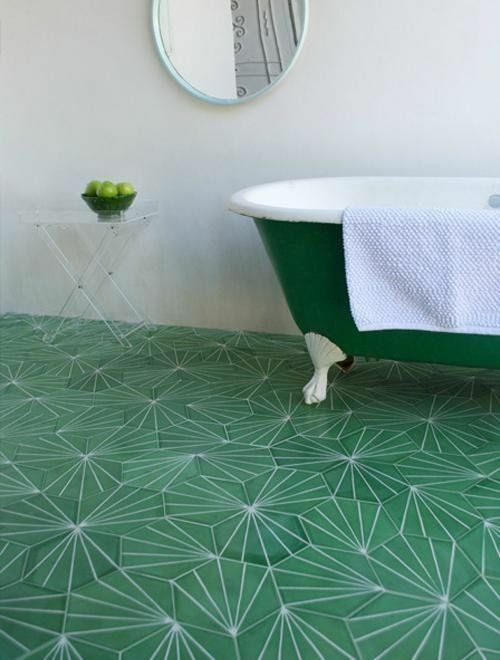 This floor can be spotted locally at Eagle Rock Juice Co, but I could see it in my bathroom with some bright pink and maybe dark blue accents. 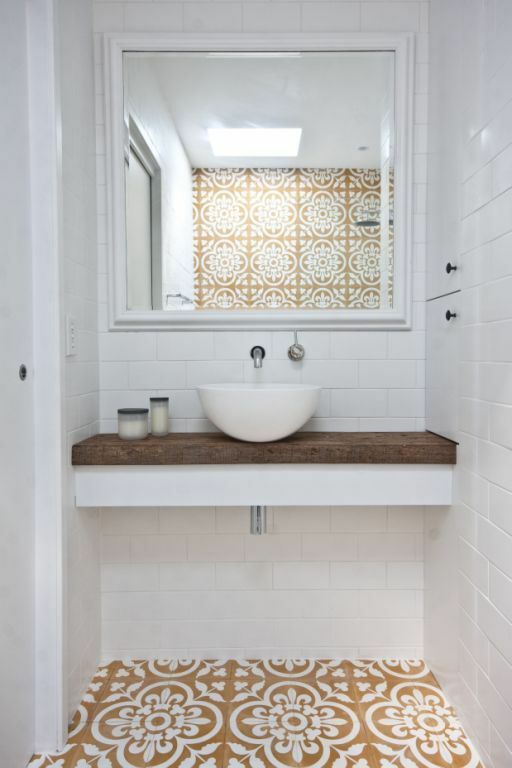 I love the way the tiles in this Sydney loft (spotted on Design Hunter) go up the wall and are reflected in the mirror. And the mustardy color! So happy yet soothing. 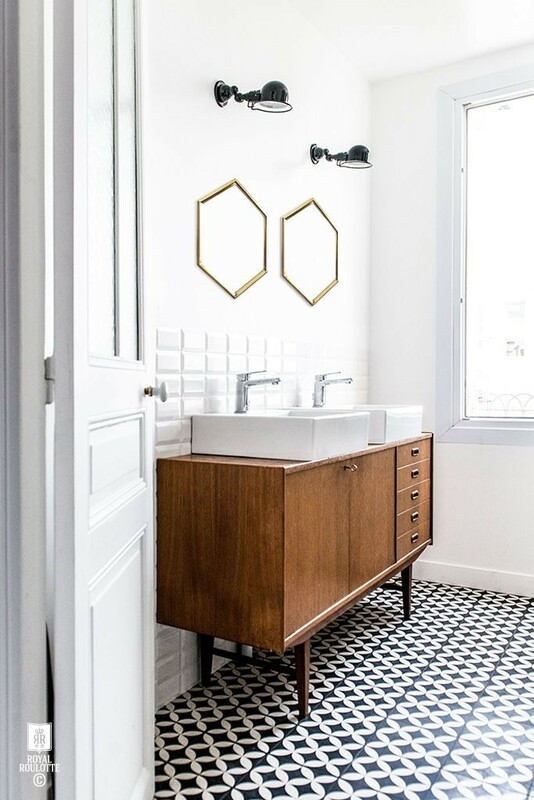 This encaustic tile adds a dash of that lovely yellow to a black and white pattern (these are Zebra Charcoal from Cement Tile Shop), but you know I am going gaga for the vintage sewing machine sink! WANT. These hexi tiles in green make me swoooooooon. These are Dandelion in Lawn/Milk from Contemporary Tiles.